Today I am featuring the Sedona Shirt Dress Road Tester Roundup Part 2. I hope that you enjoyed reading the last 2 days of blog posts and if you have missed them here are your links. They make great reading. 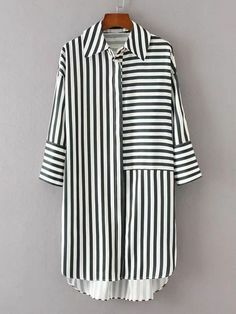 The Sedona Shirt Dress is a hot trend at the moment and I am sure you have seen them featured on many RTW fashion sites and of course a myriad of fashion bloggers are constantly featuring them. I’m Ana Inês Barros, from Lisbon, Portugal. As soon as I saw this pattern I knew exactly how to style it and what fabric to use. My animal print was perfect to use with a belt and matching boots. I had this fabric for ages, I bought it in a tiny local store. This is not a beginner sewing friend, that concealed button wrap was my challenge and….with the instructions they were easy peasy. Hello everybody, I’m Ilse Lemmens from Belgium. When Ann introduced us the Sedona dress we could chose as usually out of different options and I went for the calf length. Calf length is a newer length to me and it would be great for our fall and winter here in Belgium. Worn with stockings and ankle boots it would be awesome! These days when the tester call was we were on a trip in Porto in Portugal and that’s were I bought the fabric. It was love at first sight but because it’s a plaid fabric I knew that I had to work very precisely! The cutting part was the hardest, every single piece had to match up but I think I succeeded. I can assure you this dress needs some time to make but eventually it’s all worth it! My favorite sewing part is constructing the collar for sure. Of course I already wore my Sedona a few times and I’ve got lots of compliments! My friends said it is so stylish! Mission completed! Worn with my Obi Belt I think I’m ready to go! Thanks Ann Grose! Hello Inge from Belgium, my choice was without a doubt the Sedona long dress so I can wear it every season! I used a beautiful dark blue crêpe fabric with a little roar 😉 I bought online in a little fabric shop in Belgium (Studio Sanne). When you sew a shirtdress as the Sedona you need time, cutting out all pieces, sewing on buttons, collar, ….. Just take your time and this dress turns out fabulous. My favorite part of sewing the dress was sewing on my buttons because then I could wear it :-). I worn my dress already a few times, my colleagues love the fabric and say it’s a me dress so spot on. I feel great in it and match it with jeans and heals or with sneakers and a leather jacket for a perfect shopping outfit. You want to get social? Hi! I’m Jenny and I live in Canada. I made the knee length version with long sleeves. I chose this because I had a fabric that I wanted to use for this project and I wanted to use every bit of it that I could! I used an unknown fibre content heavy shifting fabric that has a beautiful herringbone pattern on it. I found this piece at one of the local thrift stores. I love working on multi-step attend like the Sedona. My key to success is to break the process into small chunks that I work in a bit at a time. I finish off A art of the construction and then take a break and come back to it hours or even the next day and work in the next step. I find this approach almost meditative and relaxing. I wore it to my mom’s 76th birthday and got so many compliments. My mom is always so happy when I where me-makes because she loves that I am following in her footsteps as a seamstress! Since it is still winter here, I have been wearing mine layered over a turtleneck and my Harper Pants. I love how it has a safari look to it worn this way! I’m Kate and I live in Australia, about an hour south of Sydney. I chose the Maxi length Sedona, with roll up tab sleeves. I was planning a nice summer dress with a linen-based fabric. I found it at Textile Traders, called ‘Flaxen’ – a linen/cotton blend. Perfect for warm summer days. The placket at the front took a bit of patience, measuring and folding accurately (but totally with it). And sewing all the button holes and buttons took a bit of perseverance – especially as I don’t do up the bottom ones when wearing it. I loved how smoothly the pattern went together. Everything worked as it should. And because it’s a relaxed I didn’t need to make a heap of adjustments for it to fit nicely. I’ve worn my Sedona quite a few times, and EVERY TIME I receive multiple compliments on it from my friends. It’s been a great summer dress. My name is Meghan and I am currently in West Africa. I was very excited to make the maxi length of Sedona. All the maxi shirt dresses I have been seeing on social media had me in love and totally inspired. I needed short sleeves because it is hot here! And I decided on the darts for a more slim look. The fabric I used is an African wax print, locally known as lappa. I love the bright colors! In sewing up the Sedona, there are a few places to take your time. Folding the concealed button wrap can be a little tricky but just double check that it works correctly before stitching it down. And when inserting the collar in the stand, use lots of pins and check to make sure you’ve caught it on both sides and everything is secure. Getting that concealed wrap done and seeing how it made everything look so sleek (and my pattern matched pretty darn well!) was really fun and satisfying for me. With the maxi length there are so many ways to wear the Sedona. I tried it with the lower buttons undone up to about the knee. But it can be worn buttoned all the way down or unbuttoned even more with leggings or skinny jeans underneath. I can’t wait to try them all! My name is Shilyn Joy and I live near Washington, D.C.
2. I chose the shirt length of the Sedona because I need more dress tops for work! We’re allowed to do casual Fridays, which really means Jean Fridays with a dressed up top…none of which I have until now! 3. I had this Hawaiian print rayon fabric from my mom’s stash she’s hidden away for years! I wasn’t inspired to use it until this pattern, when I thought about how cute it would look with a border print! 4. Interestingly enough, I found the instructions to be very detailed and easy to follow. The biggest thing I would recommend if you don’t already is to press, press, press! The hidden button placket will thank you. 5. My favorite thing was learning the new tip of how to place buttonholes and buttons. I had always been frustrated that I still had gaping in my own makes, or misaligned buttonholes, but Ann explains it well! 6. I’ve worn it to work a few times, and have been asked to make several for my coworkers! 7. With the print I chose, I decided to style it very simple with a solid heel and fitted pants. I’m Stacey Clements, from the south coast of England. I went for the tunic length as I wanted a dress and a top, but knew I didn’t have time to make both!! I love a versatile in the middle length – I can wear it with leggings or tuck it into a skirt for two totally different looks from the same item. I used a plain black chiffon I bought from a local fabric shop – I wanted to make a real wardrobe staple. Sewing some of the steps was a bit tricky in chiffon – I used lots of pins and basted where I felt I needed it – I would rather take extra time preparing, than to end up unpicking!! I enjoyed making the sleeve packets and cuffs most because it was satisfying seeing them come together. I have worn my shirt loads already, it’s in regular rotation in my work wardrobe. Hey! I’m Suzanna and I live south of Detroit, Michigan. I made the shirt length with cuffed sleeves because I’ve never had a button down shirt that fits correctly and it was high time. This version is made from a delicious Poplin I found at Hobby Lobby, the leopard detail is a mystery fabric from Walmart. During construction I would suggest taking your time and enjoying the process, for me, it was a learning experience as I’ve never made a structured shirt. That was my favorite thing about this project: the challenge and of course, triumph. My style is pretty casual so I’lI wear my Sedona with jeans, sleeves rolled and hem untucked. I love that people are amazed my shirt is handmade! Hi, my name is Synthia L Gerritson. I live in central California, U.S.A. For the Sedona shirt dress, I made the tunic length. I love to wear leggings and I felt the style I made would go nice with leggings, but this time I used jeans. I used a good weight rayon fabric and for the contrast, I used an old rayon dress I re-purposed. The front pockets and placing just how I wanted them, took a bit of time so I kept positioning until I was satisfied with the placement. When I have worn my Sedona out, I have been asked where did I purchased. When I tell people I made it, they are impressed because they have not seen a shirt dress like it in the stores. Thank you Ann Grose for another great design. My name is Taryn Haynes-Smart and I live in Cape Town, South Africa. I love a below-the-knee length dress. Add in a little hem detailing and I’m sold. The calf-length Sedona offered me both length and a curved hemline so I was sold. Also, it was Summer when testing started so opted for a short tab sleeve. (Although the maxi length is next of my list – I even have the fabric washed and waiting for me to get to it). I had a lightweight striped woven in my stash already so didn’t need to go fabric shopping on this round. Some tips that I found useful” For the curved hem, a row of basting stitches to follow helps and keep it narrow so that you don’t have excess fabric you are trying to tuck away. I also hand basted the collar to make sure it was properly enclosed. I folded the tabs on my sleeve in on itself so that the right side of the fabric would be seen and not the wrong side (if that makes any sense). I love that I can dress my Sedona up or down. It is perfect for the office with a skinny belt and gorgeous pair of heels or layered over rolled up jeans for a more casual look which I also love. Hi, I’m Vaida from Lithuania. My Sedona is a tunic length with short sleeves, I chose to sew it from striped cotton (with 5 per cent lycra). Sewing was easy, one only has to follow instructions – and Ann is great at preparing them! I’ve already cut into my second Sedona, in knee length – in nice French wool.